For Advisers we combine client experience with business performance tracking in ‘’The Leading Practice Program’ which has been running for over eight years. There are two streams – Client Experience Surveys and Practice Benchmarking (financial/HR etc). Our rigorous, scientific approach is not for everyone – only those that are truly committed to being leaders and effective business managers who believe that clients are the lifeblood of their business. Following their review, we help these practices understand their information through Data to Discovery webinars and guide them in implementing an Action Plan for business improvement. These tools are used as part of the assessment process for many industry awards programs to enhance the rigor of the awards and are used by the ‘top’ advisers/practices in different advisory networks as a tool for helping them take their business to the next level. Only the best advisers qualify for the Most Trusted Adviser’s (MTA) Network. We don’t advertise or publicly name those that don’t qualify. We promote the MTA Network of advisers to consumers. While this is great, we believe the real value of our services comes from our Client Experience Survey, especially if it is used as an annual continuous business improvement tool to help advice business’ understand and respond appropriately to clients’ needs. It’s a win-win – those that qualify are recognised and profiled as MTAs and those that don’t are equipped with the knowledge needed to improve their clients’ experiences and their business. 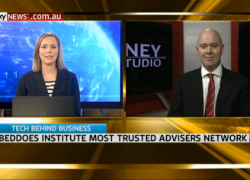 The following video describes the Most Trusted Advisers Network.